If you are looking for a large home (5 bedrooms) with a full bedroom and bathroom on the first floor, this is your home. If you want a space with plenty of room to play football, build a pool or create your own perfect outdoor space, this is the perfect spot. 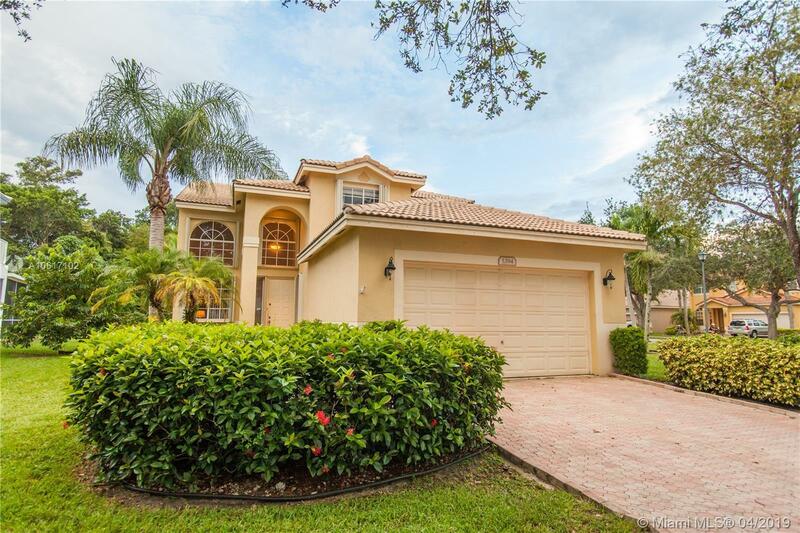 Our gorgeous updated 5 bedroom home on the largest (double sized corner) lot in Regency Lakes with preserve backyard. Walk into soaring ceilings, a lovely updated kitchen, granite counter tops & dark wood cabinets. Walk up the wood stairs to the four spacious bedrooms & two updated bathrooms, you'll see this is a large home. It is perfect for entertaining, living in complete comfort in an amazing community with a guarded entrance, community pool, exercise room, jacuzzi, tennis, basketball, volleyball and lush landscaping.